The 53-year-old woman who was attacked while waiting to pick up her son at a Metro Vancouver arena parking lot on Sunday night has died, police in Surrey confirm. 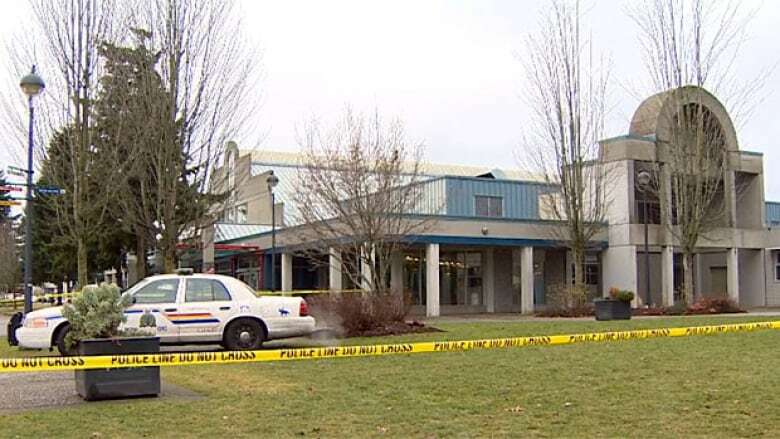 The 53-year-old woman who was attacked while waiting to pick up her son at a Metro Vancouver arena parking lot on Sunday night has died, police in Surrey have confirmed. Friends of the family said earlier that Julie Paskall was on life support, with her family at her side, but was never expected to survive the attack. Local hockey officials described Paskall as a volunteer timekeeper with her son's team. Police described the attack as a robbery gone wrong, and homicide investigators have already taken over the case from local RCMP. Investigators said that, while the brutal attack is similar to an assault on a woman in the area on Dec. 16, they have yet to establish any links between the two incidents. "The motive for this unprovoked attack remains robbery with both IHIT and the Surrey RCMP continuing to work toward finding out who is responsible." said the statement released by Sgt. Adam MacIntosh. In the earlier incident, a 22-year-old woman was taken to hospital after she was attacked at the nearby Newton bus loop at around 2 a.m. PT. No suspect descriptions have been issued by police in either case. But people in the neighbourhood say the attack has exposed a dangerous problem they've been dealing with for years. 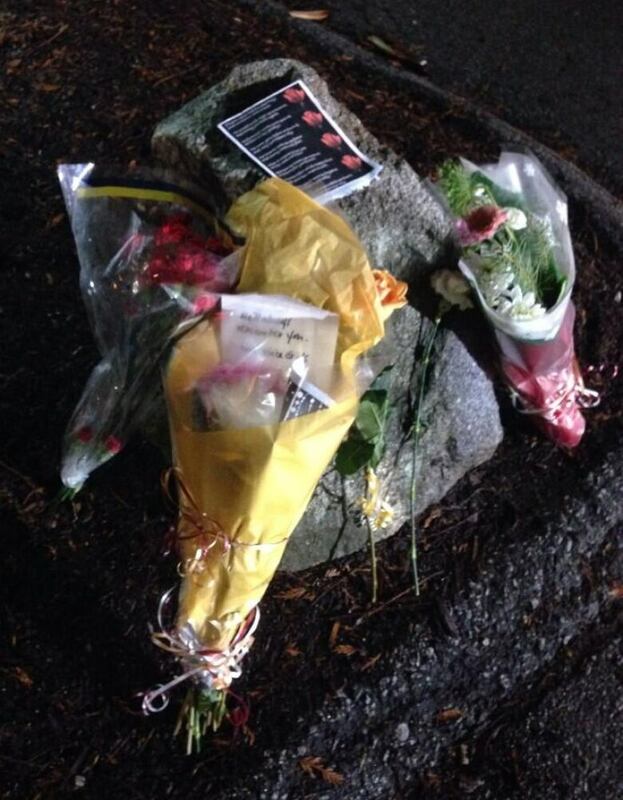 Flowers and messages were left for Julie Paskall at Newton Arena. (CBC/Meera Bains)Douglas Elford, a spokesman for the Newton Community Association, said the unprovoked attack reinforces his belief that the area needs to be revitalized. "The neighbourhood we feel, particularly the town centre, is deteriorating and people are afraid to walk the streets at night." Elford said his association is holding a public meeting in February to talk about increasing the livability of the neighbourhood. Surrey RCMP issued a public warning on Monday, advising people in the neighbourhood to watch out. "Due to the circumstances of this tragic incident, we are asking the public to be extra vigilant," RCMP Cpl. Bert Paquet said in a news release on Monday. "It is important that people are aware of their surroundings when they are out and that they keep their valuables concealed. Walk with a friend whenever possible, particularly after dark." At the Newton bus loop on Monday evening, those waiting for a ride said part of the problem is a lack of police and security in the neighbourhood at night. "I absolutely hate being here at night," said Janet Talbot as she walked to her stop, head down, hands thrust in a thick winter jacket. "When I'm here I want to hurriedly get onto the bus and home, as opposed to being out on the street," she said. A few feet away Carrie Brewster huddled against her boyfriend. "There's a lot of creepy people, and I never see police. I never see security," Brewster said. A block away there is a community police station, but on Tuesday evening the sign on the door said it is open from 9 a.m. to 5 p.m., Monday to Friday. Talbot said she wishes she could work those hours. "I have to work. I have to travel like this. My car is not in operation, so I have to be taking the bus and this isn't something that always makes me feel safe," she said. Waseem Malik runs a nearby cheque-cashing business. He said after dark, drug dealers and prostitutes "pour like zombies" from the inexpensive housing nearby into the bus loop. Two years ago a man ran to his doorstep after being stabbed, Malik said, "and he dropped right in front of our store, and then he died here." "I blame the people, and somewhat the RCMP," Malik said. Behind the counter of a nearby liquor store on 72nd Avenue, Ashley Volpatty watches reports of the attack on the evening news. "I need to be able to work, but I don't want to be afraid to leave work. You know it's not fair. It's not fair to us women that we have to always watch our backs," she said. Both Volpatty and Malik said police only show up after something happens. As a result, Malik now shuts his doors at 7 p.m., instead of 9 p.m. In November, Surrey Mayor Diane Watts formed a task force to investigate the apparent spike in homicides in the city this year. Police have recorded 24 homicides in the city in 2013, more than the previous high of 21 for one year. Watts offered her sympathy to the woman's family on Monday afternoon. "I want to extend our heartfelt sympathy to the family. This is a tragic incident, and our prayers go out toward the family and to the woman who is currently on life support," the mayor said. Police are asking anyone who was in the area on Sunday night and saw anything suspicious to call police or Crimestoppers.